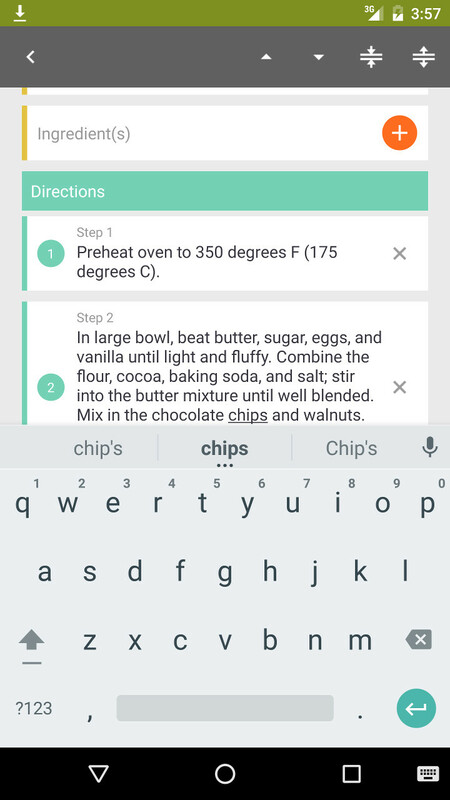 This entry was posted in Documentation on May 2, 2016 by android cookbook. 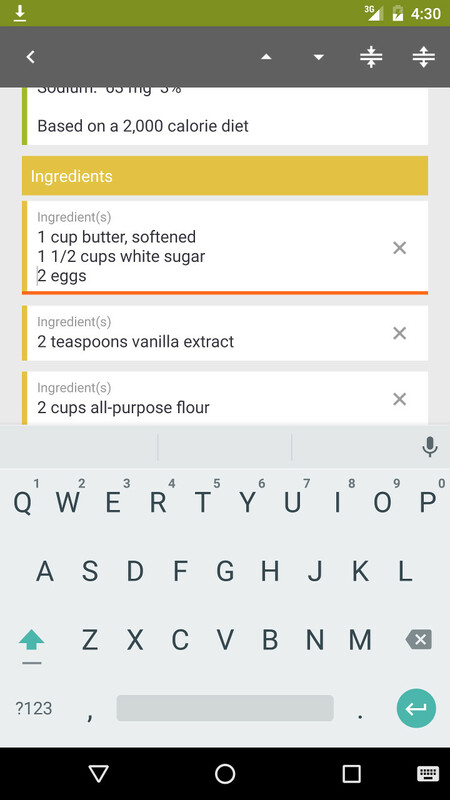 Using the + button to add new ingredients or steps is optional. 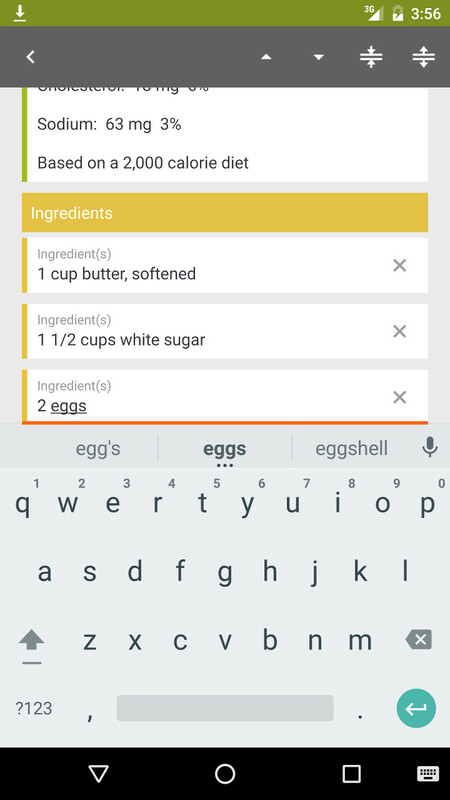 You can paste or write several lines into one ingredient or step field. 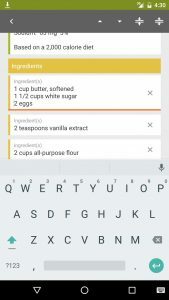 The app will split the lines when the recipe is saved. Buttons 1 & 2 : Reorder ingredients or steps. Button 3 : Merge the focused lines with the previous one. Why won’t my picture show up? 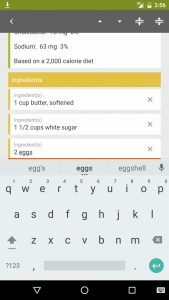 I edit, select the pic from my photo file but it isn’t showing with the recipe. 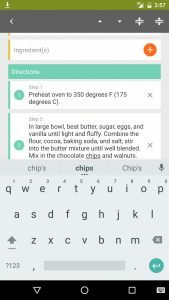 How can I delete recipes from my cookbook? How can I view additional pictures? 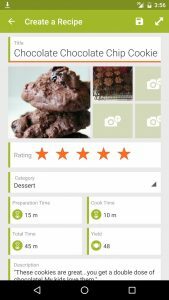 ← What’s new in My CookBook 5.0?